According to the latest report on voice controlled devices by the Reuters Institute for the Study of Journalism (RISJ), around one in ten people in the US and the UK (14 percent and 10 percent) regularly use smart speakers. However, very few use it for news updates and podcasts. In the UK, only one percent of the respondents said that news is the most important feature. “There is clearly a difference between broadcasters that already have audio (and video) resources they can leverage for these platforms and former print publications for whom more differentiated and risk-taking strategies might be more appropriate,” said Nic Newman, senior research associate at RISJ and author of the report. One of the main challenges for news organisations is to work out how to monetise their content on voice controlled devices, especially after the recent painful experience of surrendering too much content to social media platforms only to see it backfire. And while a clearer monetisation strategy would be an important factor for publishers to start adopting voice controlled devices as a new platform for their content, it is still early days. In Newman’s view, the only exception to this is a longer form audio content, such as live radio and podcasts, where the existing advertising models transfer quite well. He said that as long as the content can be measured and counted, it can be considered a part of existing listening and advertising approaches. Another monetisation strategy adopted by some publishers, such as the Washington Post or The Economist, is using audio and smart speakers as a recruiting ground, pushing listeners to offers using a special URL. “Ultimately, there will be an opportunity to build premium audio experiences as part of subscription packages and the platforms are very open to this,” added Newman. One of the major obstacles to adoption of smart speakers highlighted by the report are concerns about privacy; Newman’s team found that this was a big barrier for those on the 'verge' of buying them. “The vast majority are worried about privacy at an intellectual level, but in practice convenience tends to trump these concerns. What helps is talking to someone who has one, or seeing it in action. That tends to push some of the waverers over the edge and I don’t expect the speed of adoption to slow in the next two years,” said Newman. Still, many users who bought or were gifted an Amazon Alexa or Google Home do not really know what to do with it. 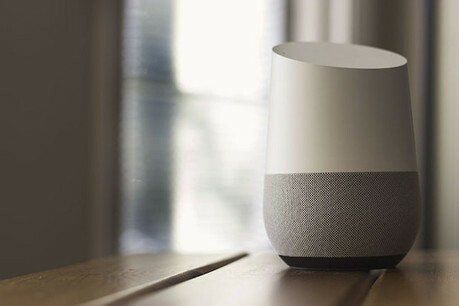 Also, because smart speakers can give only one answer or brand in response to a command or question, users can also have a hard time finding what they are looking for. “Short form answers will have an attribution problem and it will be interesting to see how the platforms manage that as they try to persuade [publishers] to create content designed to be read out in quick answers,” said Newman. Despite some teething problems, Newman remains very optimistic about the future that smart speakers hold for the media industry.